The 1980s saw an alarming revival of protectionism among Western countries, as a result of a decade of persistent economic crises, slow growth, industrial decline and rising unemployment. The two major actors, the US and the European Community, between them bore the major responsibility for the breakdown of the liberal world trading system. Protection in the 1970s and 1980s took the form of replacing free international markets by bilateral agreements. 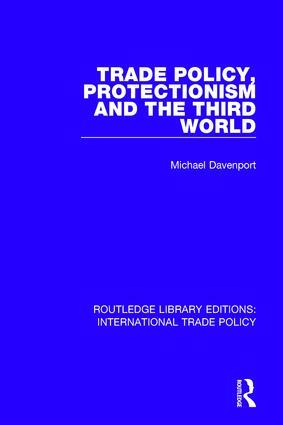 This book, first published in 1986, examines the European Community’s Generalized System of Preferences, whereby the manufactured exports of developing nations would have duty-free access to the markets of the EEC, and the consequences to this System of the new protectionism.